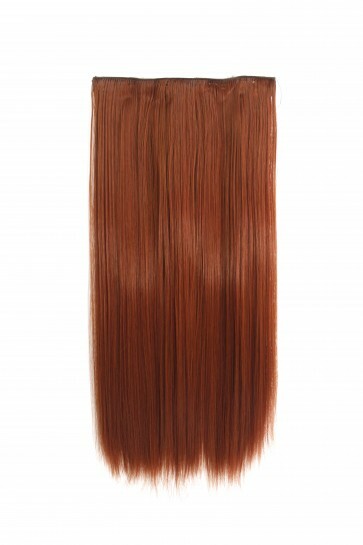 Top quality heat resistant kanekalon synthetic hair, feels silky and soft just like real human hair, can be straightened or curled. Instructions provided. This is a straight, one piece clip in hair extension made from Kanekalon synthetic fibre. It feels and looks just like human hair. This is the fastest way to extend your hair. 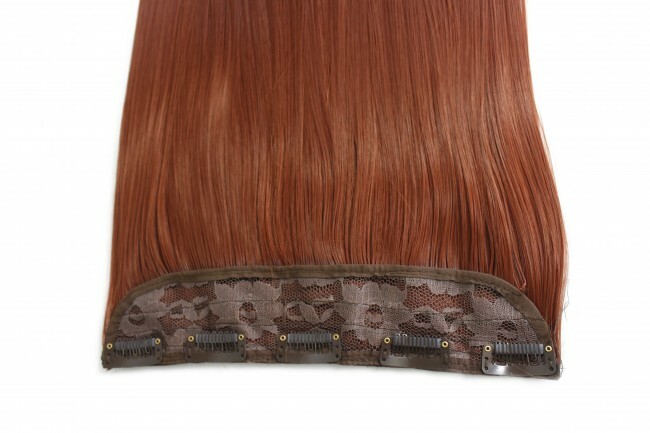 A single section applied to the back of the head using the five attached clips. 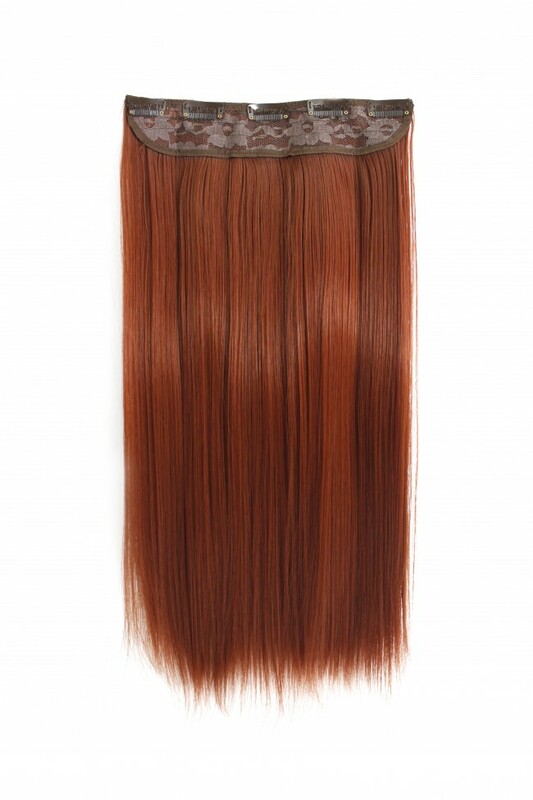 Our fabulous instant full head one piece wefts are really easy to use, comfortable and take only seconds to put in.